The lack of attention to sustainability, as a concept with multiple dimensions, has presented a developmental gap in green marketing literature, sustainability, and marketing literature for decades. 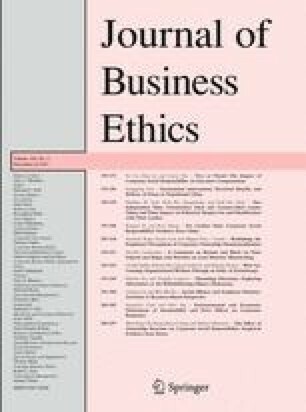 Based on the established premise of customer–corporate (C–C) identification, in which consumers respond favorably to companies with corporate social responsibility initiatives that they identify with, we propose that consumers would respond similarly to companies with sustainability initiatives. We postulate that consumers care about protecting and preserving favorable economic environments (an economic dimension of sustainability) as much as they care about natural environments. Thus, we investigate how two sustainability dimensions (i.e., environmental and economic) and price can influence consumer responses. Using an experimental method, we demonstrate that consumers favor sustainability in both dimensions by giving positive evaluations of the company and purchase intent. In addition, consumers respond more negatively to poor company sustainability than to high company sustainability. In comparison, consumers respond more negatively to the company’s poor commitment to caring for the environment than to the company’s poor commitment to economic sustainability. We also find that consumers do not respond favorably to low prices when they have information about the firm’s poor environmental sustainability. Finally, we find support for an interaction effect between consumer support for sustainability and corporate sustainability; that is, consumers evaluate a company more favorably if the company shares the consumers’ social causes. Overall, we conclude, from our empirical study, support for the idea that consumers do respond to multiple dimensions of sustainability. United Nations. (1987). World commission on environment and development. Available at http://www.un-documents.net/wced-ocf.htm. U.S. Census Bureau. (2000). American FactFinder. Available at http://factfinder.census.gov.